What could you do with a team of 5,000 behind you? That’s what you have when you depend on HD Supply Facilities Maintenance as your single-source supplier of facility maintenance products and Property Improvement Services. For more than 40 years, we’ve worked to bring the best products, fulfillment, service, and support to our customers. Our experience makes us a leader in facility maintenance, and we pass that expertise on to you. Whether you’re maintaining your facility, managing your agency’s operations, or modernizing your interiors, we can help. Take advantage of our reputation, reliability, and industry knowledge. The contract available through OMNIA Partners provides you with free delivery within the continental U.S. and most orders are delivered next-day. We are your single-source supplier with over 70,000 MRO products in stock—plumbing, HVAC, electrical, lighting, hardware, tools, janitorial and more. Plus, we offer a wide selection of environmentally preferable and Made in USA products. A dedicated government support team and a government call center are ready to serve you. Trust HD Supply to deliver what you need, when you need it. HD Supply Facilities Maintenance is an industry leader committed to delivering high-quality, competitively priced products and expert support. 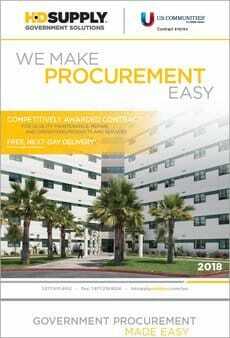 Our dedicated team makes procurement easier for federal, state, and local government professionals and helps keep you in compliance with purchasing requirements. Visit hdsupplysolutions.com/usc for contract details. Tiered customer rebate based on agency's annual purchases. Rebates paid annually, based on total customer purchases during the fiscal year, which typically begins in February. *OMNIA Partners accounts are set up with Net 30 payment terms. Agencies must opt-in to receive 2% 10 day, Net 30 day payment terms by contacting Account Services at fmaccountservices@hdsupply.com. Installation Services: We provide contracting and labor services for all your interior renovations, as well as installation of HVAC, flooring, lighting, and much more. Technical training and certification classes for maintenance technicians — at both basic and advanced skill levels. Some classes may not be available in all areas. Put the strength of HD Supply behind your next property improvement project, like student housing or housing authority renovations. Whether you are simply updating or fully renovating your facility, we deliver everything you need to make the job easier and stress-free. Team up with us and you’ll get much more than just a reliable, single-source supplier. From planning to completion, you’ll receive individual support and services to help you manage product procurement, deliveries, pricing, and more. HD Supply’s kitting service is designed to make government facility and housing renovations easier and minimize downtime. Based on your specifications and budget, we create customized packages with all the products you need for each unit, then deliver the kits right to your door. Each kit is labeled with your specific unit number for easy delivery and setup. *Available in select markets. Please call for availability. Student Housing Turns season can be the busiest time of year. Maintenance teams have to inspect units from floor to ceiling and corner to corner, make repairs, and install replacement items before students return. HD Supply is your solution for procuring the supplies you need when you need them. Bathroom - Avoid big bathroom repairs by prepping bathrooms and plumbing during turns season. Kitchen - Student housing kitchens can be easily updated and refreshed with the right repair and replacement options. Bedroom - Student housing bedrooms will need maintenance attention that require a number of tools and products. General Maintenance - Turning individual units is only part of the job. HD Supply has all you need to repair and update common areas in and around the building, including stairwells, hallways, lobbies, and more. Use our Student Turns Checklist to make the turns process faster, easier, and more efficient. If you plan to renovate or upgrade your property, we can help you with projects of any size, from a small common-room refresh to full dorm and apartment remodels. We offer products and services that are competitively awarded through the contract available through OMNIA Partners, Public Sector. See our Property Improvement page for details. Upgrading your flooring can boost your bottom line saving on maintenance costs and increasing ROI. Learn more about flooring options available for your facility. See the HD Supply’s Flooring Guide for all things flooring. Vinyl flooring is a great alternative to carpet, stone, tile, and wood flooring. Available as vinyl tiles, planks, or sheets, vinyl flooring is a popular choice for commercial and residential properties because it is affordable, durable, and easy to install and maintain. Carpet tiles are known for being resilient, long-lasting, stain-resistant and are a great alternative to roll carpeting. They are easy to install and maintain. In the case of damage or staining, you can simply replace one carpet square rather than the entire room. Green flooring is a sustainable or eco-friendly option, typically made from materials that have low volatile organic compounds (VOCs) to help indoor air quality, and contain recycled or recyclable material for a smaller carbon footprint. Ceramic tile floors are easy to clean, long-lasting, with colors that don't fade. They require minimal maintenance and are a good choice for those who need hypoallergenic environments. Contact us today to get started on your flooring project! Prevent pet waste from piling up and littering your grounds. 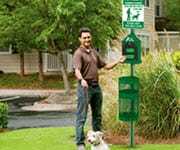 Keep pets and their owners happy with well-placed pet amenities for any size property. 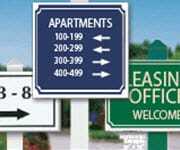 Whether you want to identify interior areas, posts, property rules, or control traffic there’s a sign with your words on it – or you can create your own design. 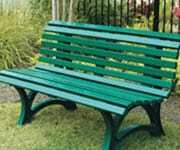 Make outdoor areas more enjoyable with comfortable, appealing benches along walking trails. Install grills and picnic tables in common areas. Add maintenance-free chairs and umbrellas to pool and recreation spaces. All are cost-effective additions that pay dividends for years to come. Maintain a great looking property by keeping parking lots, pools/spa areas, and playground equipment freshly painted and looking like new. Use these tips to easily refresh your property. Unauthorized vehicles on your property are not only a nuisance, they are a liability too. 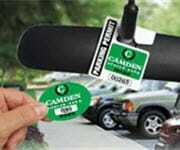 Use a parking permit system to help protect your facility and get control over your parking lots. How do I place an order with HD Supply? Once you have registered with OMNIA Partners, you can set up your HD Supply Facilities Maintenance account. 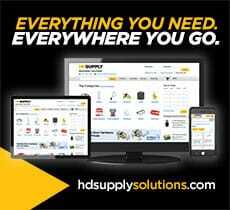 Go to hdsupplysolutions.com/usc and click on “Sign up”. Complete the PDF form and click "Submit" at the bottom of the form to email it to Account Services. Or print the completed form and fax to 1-800-283-8883. Be prepared to supply your Tax Exempt Certification (if applicable). Or call 1-877-610-6912, 4:00 AM - 6:00 PM (PST). Account Services will set up your account and provide you with an account number. Use this number to then set up your online username and password to ensure you receive OMNIA Partners participant pricing. Not sure if you have already established an account? If my agency already has an account with HD Supply Facilities Maintenance, do I need to set up a new account? No. Contact your HD Supply Facilities Maintenance Account Manager (or call 1-877-610-6912) to have the OMNIA Partners program linked to your existing account. Most agencies today are spread too thin. The contract available through OMNIA Partners, Public Sector saves the time and costs associated with obtaining quotes or preparing bids - giving you and your staff more time to accomplish your daily work. 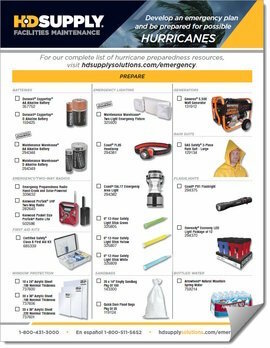 Be prepared for and emergency with HD Supply. Disasters can happen anytime and without warning. HD Supply can help you prepare for a wide variety of emergencies, from hurricanes to summer heat waves, to winter storms and zombie invasions. Our Emergency Preparedness resources include guides that help you prepare for different scenarios, respond to emergencies or developing storms, and recover after the event to get your facility back to normal. Develop an emergency plan for your business and keep an emergency kit on hand that includes basics like, water, flashlights, and first aid supplies. Prepare now to protect your organization, your employees, guests, and residents. Storms and power outages happen, so it's important to be prepared. It's best to have an emergency plan in place and the right emergency supplies on hand. BEFORE A STORM - Don't wait until a storm or extreme cold-weather conditions strike your area. Create an action and communication plan now, and make sure you have plenty of emergency supplies on hand. A good emergency kit includes batteries, flashlights, two-way radios, bottled water, blankets, and first aid. DURING A STORM - Extremely cold temperatures often accompany winter storms, so leave faucets running - just a trickle - when temperatures drop to 20˚F or below to help prevent pipes from freezing and bursting. Opening cabinet doors beneath sinks and covering drafts near piping can also help avoid cold weather-related damage. If power goes out, use battery-powered flashlights or lanterns instead of candles for lighting. Never use a charcoal or gas grill indoors - the toxic fumes the grills generate can be deadly. AFTER A STORM - Winter storms can leave a big mess behind them. Once the storm has passed, you may need to do some cleanup and repairs. Check your foundation and roof for any damage and use roof repair products to seal and patch trouble spots. 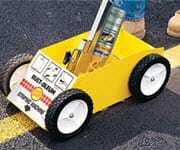 Have snow removal tools like ice melt and shovels to clear sidewalks and steps of snow and ice. Place entry mats at entrances and exits to help avoid wet, slippery floors that can cause harm. HD Supply is committed to being Easy, Accurate, and Helpful™ for our customers. 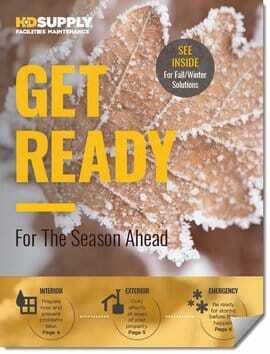 Our Fall and Winter Prep Guide is a valuable resource for creating an 'Emergency Preparation Plan', and even includes a handy 'Emergency Supply Checklist' for your convenience. You can count on HD Supply to help you plan, prep, and recover from whatever weather comes your way. Learn more about essential emergency supplies to stock up on to help you during extreme winter weather.